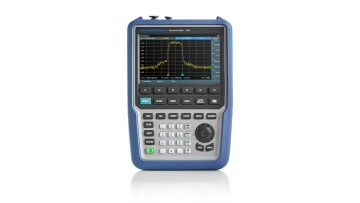 The microwave spectrum analyzer R&S Spectrum Rider FPH is a flexible solution for precise measurements in the field and lab at an affordable price. New base models up to 6 GHz, 13.6 GHz and 26.5 GHz, plus corresponding frequency extensions via software upgrades, now take spectrum analysis capability up to 31 GHz. The R&S Spectrum Rider FPH is a flexible solution for precise measurements in the field and lab at an affordable price.